The American Adventure show is a 30 minute production that is located inside of the American Adventure Pavilion at Epcot’s World Showcase. 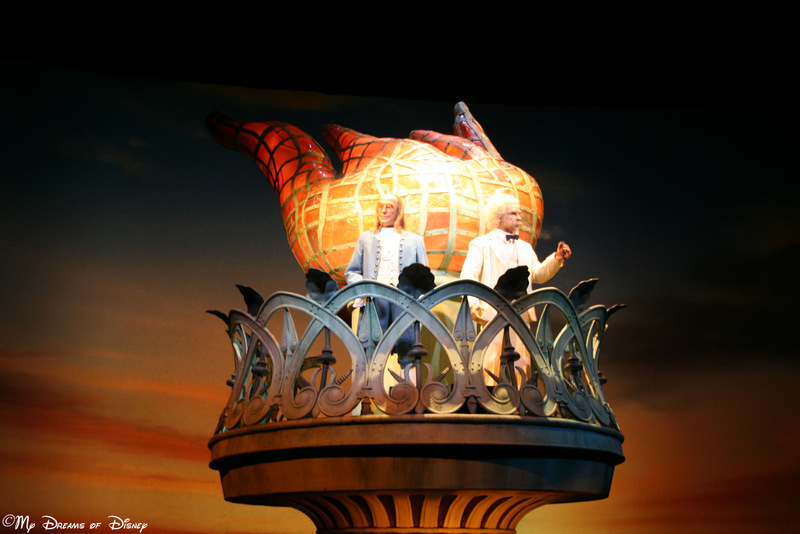 Hosted by Benjamin Franklin and Mark Twain, and comprising 35 Audio-Animatronic characters, the American Adventure takes you through some of the storied events in the history of our great nation. Along the journey, you’ll meet such famous characters as Thomas Jefferson, Teddy Roosevelt, Susan B. Anthony, John F. Kennedy, and Martin Luther King, Jr. The American Adventure is one of the shows that we see every time we visit Walt Disney World, and I can’t wait until we get to share it with our friends in June! The Majestic Summit of Expedition Everest! Disney’s Animal Kingdom park is home to the tallest summit height of any of the tall structures that grace Walt Disney World. At 199 1/2′ tall, Expedition is the tallest structure in all of Walt Disney World. The reason that it isn’t 200 feet tall is because, if it had been that high, FAA regulations would have required that a flashing light be put at the top of the structure to alert aircraft to the height of the structure. 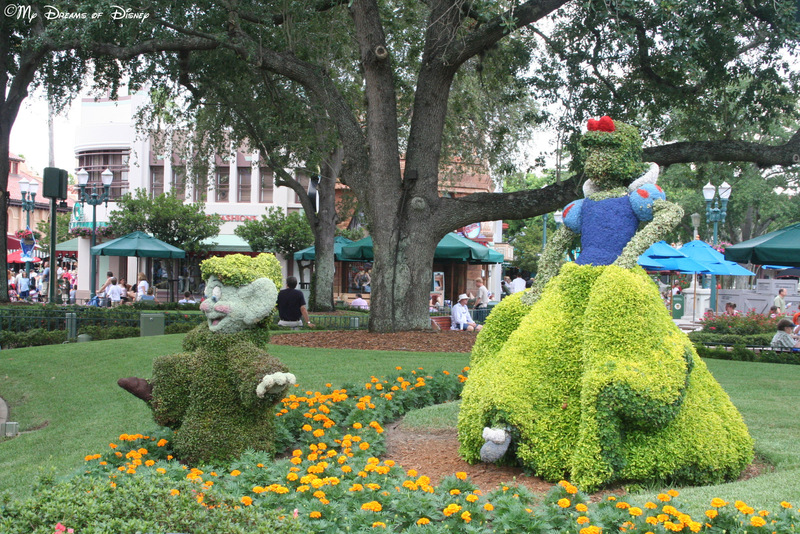 Now, I think the Imagineers are incredible! But tell me, why Bob? All of the other names are names that I would expect. But Bob? Who knows the answer to where that name came from? If you do, please enlighten me! Expedition Everest opened to the public on April 7, 2006, so it turns six years old this year. This roller coaster is one of my favorites, and I hope you like it too! Last week I wrote about the changes that are coming to My Dreams of Disney, so welcome to the inaugural edition of Disney in Pictures! In this episode, we are going to share some of our favorite pictures that capture the spirit of the incredible Disney Magic, plus we’re going to share some photos that you have submitted to us! First up in our exploration of those Disney pictures that capture the spirit of Disney Magic is this shot from the 40th Anniversary. That day was a wonderful example of Disney Magic at work. The day itself was perfect — the 40th Anniversary of Walt Disney World! Couple that with beautiful blue skies, wonderful temperatures, just being there was Disney Magic! It was meant that we should be there, simply because the 40th Anniversary just happened to fall on a Saturday, and in addition, the day before was a school holiday, so what better time to be able to plan a trip! Next up on our look at Disney Magic are these pictures, again of Mickey and Minnie, when they surprised some special young guests with a ride on the Dumbo the Flying Elephant ride! This was taken during extra magic hours when we visited in June, 2010; it was around midnight, Cindy and I were waiting to ride Prince Charming’s Regal Carrousel while Sophie and Stephanie were waiting in line for Dumbo. 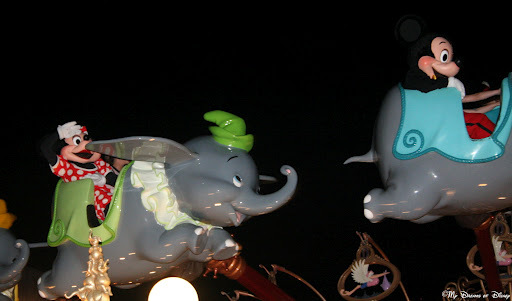 And riding Dumbo with the kids! As we continue our look at pictures that create that special Disney Magic, I bring you three photos from colleagues of mine. The first one is from Dave over at YourFirstVisit.net, who shared this photo that he took with his iPhone! Normally he doesn’t get very good pictures of fireworks with his iPhone, but the Magic was turned up for the 40th Anniversary when this picture was shot, and this was the result! The last bit of Disney Magic I want to share with you happened last June — June 19, 2011, to be exact. 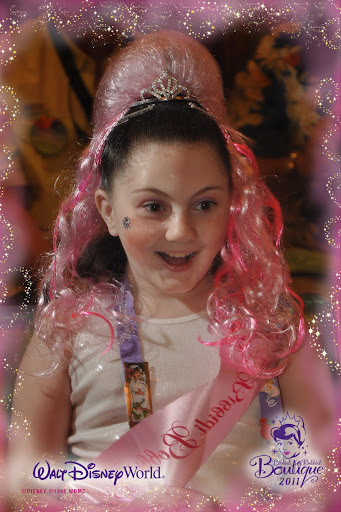 It was on that day that my baby Sophie turned ten years old, and to celebrate, Cindy and I booked her and her cousin Anna Jane’s first visit to the Bibbidi Bobbidi Boutique inside Cinderella Castle. Neither girl had any idea of the treat that awaited them that day, and I don’t think that my sister-in-law Nancy had any idea either, as you can see by looking at these three pictures! Nancy’s expression when she saw the girls! I have shared a lot of special pictures that really capture what the Disney Magic means to me, but perhaps the best example I’ve got that shows the wonderful Disney Magic is the video I shot when we were at the Magic Kingdom for the 40th Anniversary of the opening of Walt Disney World. What does Disney Magic mean to you? How do you incorporate the Disney Magic even at home? 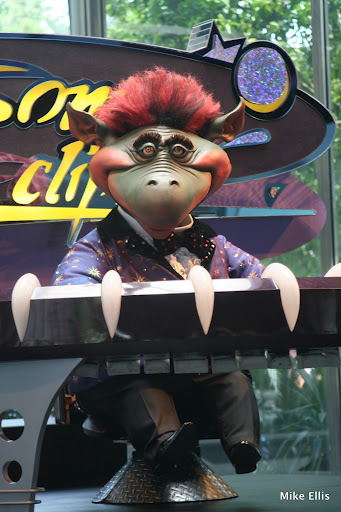 Let me know in the comments, and thanks for stopping by on the inaugural run of Disney in Pictures! Look for the theme for next week’s edition later on this week!